CHEYENNE, WYO - Needing repair and replacement of failing materials, the Wyoming Capitol dome will be covered with scaffolding and a white scaffold covering until mid-2019 as part of the ongoing renovation work on the Capitol. The dome scaffolding will start to be installed the week of September 11. The scaffolding installation will take between eight and ten weeks and will cover the dome and the drum (the area just below the dome). Once the scaffolding installation is complete, the scaffolding will be covered with a white covering to help facilitate the repairs and improve safety. The area that will be covered consists of the gold-leafed dome, lantern, drum, and base. Hands-on investigations of the entire structure have documented punctures, tears, dents, failed seams, corrosion, paint coating failure, significant water leakage, and many missing and loose elements. The damage is mainly from hail and 129 years of life and weather deterioration. Without the repairs, the life expectancy of the dome would be another 15 years. Extensive work will include replacement and repair of the existing decorative sheet metal, repainting, roof repair, and re-gilding of the dome. The repairs will extend the life expectancy of the dome by over 75 years. Follow the progress of dome repairs via Facebook and Instagram. Hail damage and deterioration of materials are evident on the dome. 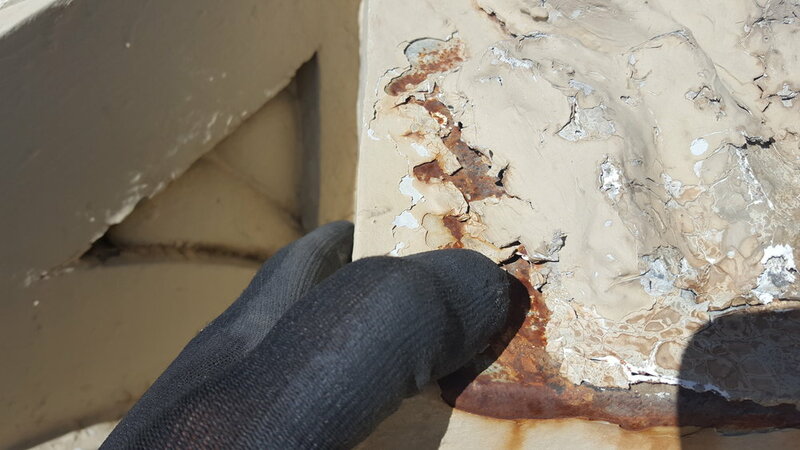 At some locations where there is paint loss, surface corrosion of the galvanized sheet metal was discovered. Widespread moisture damage is shown on the underside of the dome wood decking. The first phase of the Capitol, completed in 1888, was topped with a copper dome designed in the spirit of the U.S. Capitol dome in Washington, D.C. Later, the gold leaf was applied at specific locations to create contrast and achieve the aesthetic effect of a beacon shining over the skyline of Cheyenne. The dome of the Capitol is 50 feet in diameter at the base, and the peak stands 146 feet above the ground. 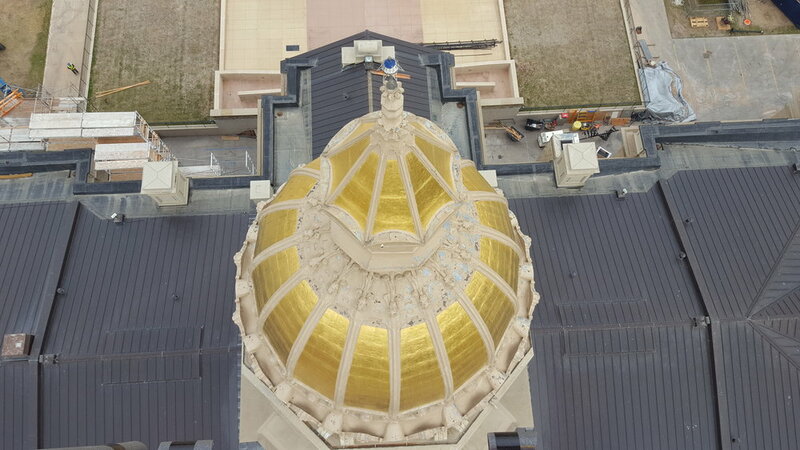 The 24-carat gold leaf on the dome was added on top of the original copper in 1900 to prevent tarnishing (and it has been retouched five times since). Today the Capitol dome structure consists of a sheet copper dome, which is covered in gold leaf, and galvanized sheet metal lantern and drum.